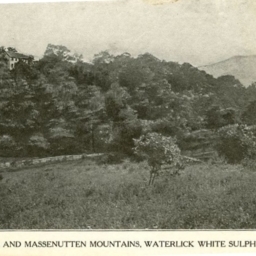 Postcard with a picture of the hotel established near the Waterlick White Sulphur Springs in Fort Valley Virginia. 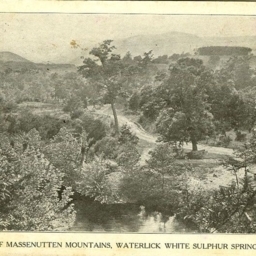 View of Massenutten Mountains, Waterlick, White Sulphur Springs, VA.
Postcard with a picture of the Massanutten Mountains as shown from the Waterlick White Sulphur Springs Resort. 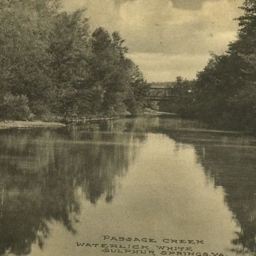 Passage Creek, Waterlick White Sulphur Springs, VA.
Postcard with a picture of Passage Creek near Waterlick Virginia.